As some of you may know, I love medicine. I wanted to be a Doctor for most of my life and has decided not to pursue that dream based on the expense of schooling, sacrifice of free time and lack of time at home required by that career path. Instead, I am going to college to be a nurse in hopes of becoming a Nurse Practitioner. Either way, I have this strange urge to see people's X-rays, love to dissect and could watch "Trauma: Life In The E.R." for hours on end. Not to mention the several years I have spent addicted to Grey's Anatomy. "It's odd, but I feel like that book was my best friend for the short while I was reading it. Now that I've finished my hands feel strangely lifeless, and my fingers are lonely without without those pages to turn, that cover to clutch, that vague feelings of a hard rectangle in my bag. Am I betraying the beautiful story if I move from it too quickly? 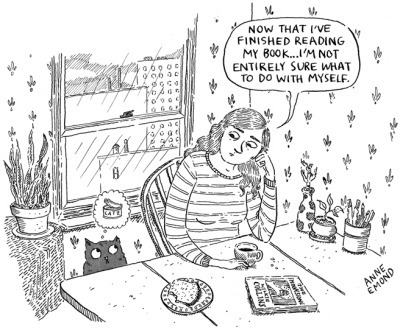 How long is the appropriate grieving time after finishing a novel, before one can wholeheartedly step into another one?" I could not wait to find a book any longer. I don't know if it is just me, but everything Anne says is so poetic. Maybe, that is why her words always inspire me endlessly. After reading her post I just had to have that feeling back, the feeling of true connection with a book that I have been missing. So, I began searching. Thumbing through pages found in the back of forgotten bookcases. Running my fingers over book covers with my eyes closed, in hopes of finding something that really spoke to me. Finally, a few days later, I happened to glance at a pile of donated books at work and found this book. Not only was it a good book to dive into, it was about a woman doctor! Sew, I read and I read and I read. I have finished this book in a few days and learned a lot about medicine and the healthcare system along the way. Michelle Harrison wrote this book from the journals she kept during her struggle. She did her OB/GYN residency as a single mother with a child at home to take care of. 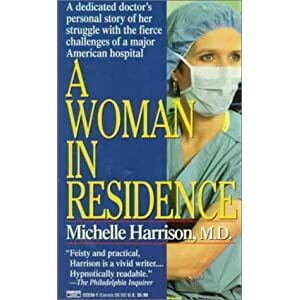 In this book, she traces her battle against the healthcare system as she tries to give personalized care that is best for the patient in a hospital that is focused solely on moving patients out of the hospital as quickly as they come in. This novel really sheds light on how blindly patients follow doctors because they believe the doctor always does best. In many instances, Harrison describes how the doctors just find the easiest and quickest solution, which may not always be best. This story brings the reader into the fine line that exists between what is best for the patient and what is convenient for the hospital. She writes of women who are screamed at to "PUSH!" before their bodies are ready, given medicine to quicken the body's naturally slow labor and quiet the screeching mothers, deemed incapable of giving birth on their own due to exhaustion from pushing before their bodies were ready and cut open by Doctor's to quickly finish the job.The medicine detailed in this story is exhilarating, and at times I felt like I was working the 36 hour shift right alongside Dr. Harrison. "We embrace a technology that symbolizes progress, while mourning the loss of human connection." "Rarely do people listen with their ears. We act on the monitor, not on the patient." "It's a sacred act that has been turned into an ugly ritual, not just because of the procedures - which are sometimes necessary and lifesaving - but because of the attitude with which they are performed." "Forever torn between my need to sleep vs. my need for contact with the outside world, I live on the edge of exhaustion." "We listen for a new baby's crying so we don't have to look at it. A baby doesn't have to be crying for us to know it is healthy. Hold a new baby. It makes eye contact. It breathes. It sighs. The baby has color. Lift it in your arms and feel whether it has good tone or poor, strong limbs or limp ones. The baby does not have to be on a cold table to have its condition measured. What do we lose by being kind to a baby who has just been born?" Don't forget to follow my Instagram "AmandaRos3" and like Sew Much To Say on facebook! Love this blog AND this post! Great job! Thanks for the link to your book recommendations - sounds like a good read.